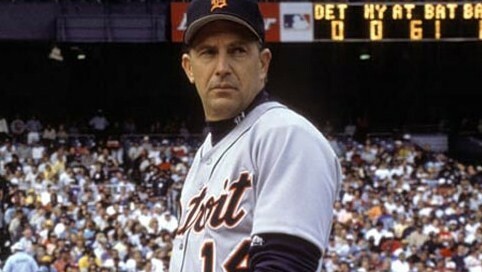 One of my favorite sports movies is, “For the Love of the Game” (1995). It stars Kevin Costner as an aging Major League baseball pitcher who is contemplating retirement as he pitches one last game. My favorite scene (and it’s probably the main reason why I watch this movie) is when he is on the mound about ready to pitch. People in the crowd are screaming curses and expletives at him (he’s the opposing pitcher). At that time he says to himself, “Clear the mechanism!” And all of a sudden, the noise stops. All is silent and focused and he is able to throw the pitch right where he wants it. This reminds me so much of my new found discipline of Silent Prayer. Silent Prayer is a “prayer without words” where we remain in silence in the presence of God. It is also called “Contemplative Prayer” or “Centering Prayer.” The word picture of Psalm 123:2 captures the essence of Silent Prayer, that of a servant waiting and watching the Master for the slightest movement or gesture. Silent prayer is waiting for God to move and speak, if He cares to do so. Among the benefits of Silent Prayer are the stilling of the soul and increased acuity to the voice of God. For those who practice Silent Prayer as a way of life, there is a strong sense of intimacy and occasional experiences of “union” with God. One of the main labors of Silent Prayer is “clearing the mechanism.” It’s settling my heart and silencing the voices in my mind. Without this, one cannot be present and focused on God. And it’s also one of the hardest things in the world to do! Silencing my mouth is easy. It’s the silencing of my mind that is extremely difficult. The moment I start Silent Prayer it’s as if a marching band suddenly starts playing in my head. The thoughts flood in. The distractions come all at once. It seems that once I clear my mind of one thought, another distraction starts coming on the scene. Even when I can settle down the distractions and the thoughts, my mind kicks into another gear: setting up “on ramps” to encounter God. These are ways I try to replicate an experience with God through some sort of striving. For instance, I start thinking of God’s attributes to praise Him. There’s nothing wrong with doing that (in fact, it’s usually a good thing to do). But in Silent Prayer it defeats the purpose. Rather than really hearing from God, my mind is putting thoughts about God; albeit good and godly thoughts. Sometimes, my mind will also try to fabricate experiences with God, like “hearing from God.” My mind will come up with something that God “might” say to me, an impression or an idea. But my soul is not fooled. It’s not God. It’s just my restless mind that feels out of place when told to “be quiet and still.” It really believes Descartes’ theory: “I think, therefore, I am.” Actually the truth is “God is, therefore, I am.” My thinking has nothing to do with my existence or identity, and Silent Prayer has helped me to see that. 1. Graciously recognize thoughts and distractions and let them go. The helpful word picture is that of a boat that passes by on the river. The thought or distraction is the “boat.” Sometimes I notice the boat. Sometimes I get on the boat. Sometimes I get on the boat and I stay there for quite a while! But in Silent Prayer, I’m learning to get off the boat and to let it pass on by. 2. Have a key “word” or phrase that re-centers my prayer. This word serves as a trigger to clear the mechanism and wait upon the Lord. Sometimes the word is a name of God (“Jesus,” “Abba,” “Spirit”). Other times it is a command (“Be still,” “Wait,” “Listen,” “Look”). One phrase that helps me re-center is Psalm 62:1, “For God alone my soul in silence waits.” Another helpful re-centering phrase is some part of the Jesus Prayer (like “Lord, have mercy”). 3. Look for the “hand” of God. In my mind’s eye I focus on the “hand” of God. This is taking Psalm 123:2 literally, that I am a servant looking to the hand of my Master. This is not a thought or a mental on-ramp, but a gaze, a focal point. It actually serves to keep my mind from thinking thoughts or entertaining distractions. To be honest with you, when I pray Silent Prayer (usually in 15 minute sessions) I might get 2 or 3 minutes of totally undistracted, focused time – in 20-30 second increments. It is that hard for me. I don’t think I’ve experienced “union with Christ,” but I have reached some significant levels of intimacy with the Lord. Most of the advantage I’ve experienced with Silent Prayer is what happens afterwards: the refreshment of my soul, the ability to sense God’s leading in my day, and empowerment for the tasks ahead. I try to use shorter sessions of Silent Prayer (3-5 minutes) before I start on major tasks. I have found it to be very useful as I practice Whole Life Worship throughout my day. “Clearing the mechanism” paves the way for God to have His Way in and through me. Thanks Doug, this was very helpful and helped me identify with you and know that it isn’t “just me” in my silent prayers struggling with the same things as if I have to fill up that silence instead of embracing it.